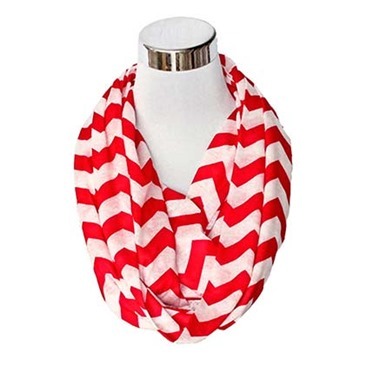 Red and white flask scarf. Holds 8oz of liquid. 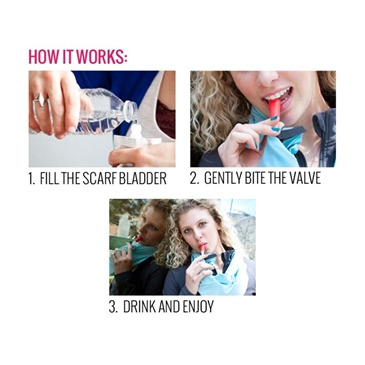 Drink from secret ScarfBite Valve.